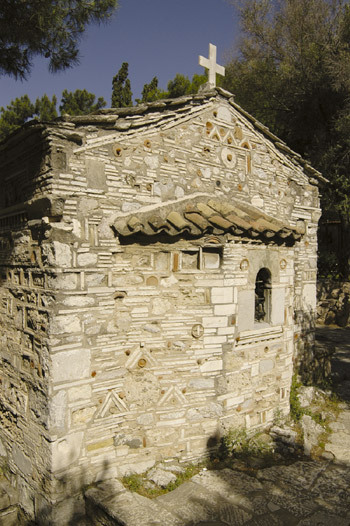 At the foot of the wooded hill of the Nymphs there is the small church of Agios Dimitrios, known as Loubardiaris. It is a single-aisled barrel-vaulted basilica built during the times of the Ottoman occupation. It was restored in 1955 by the famous architect Dimitrios Pikionis.